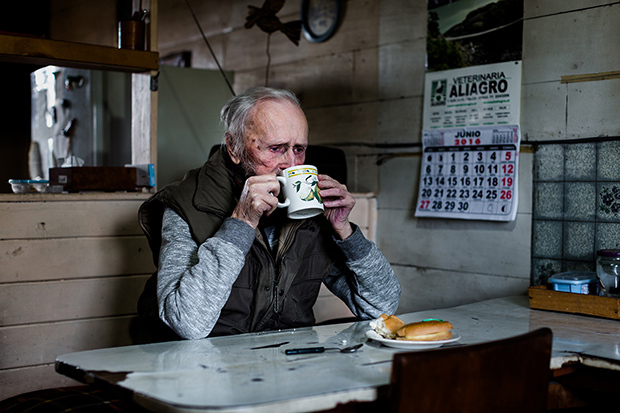 Hugo, the oldest man in the town of Las Cascadas, spends time sitting in his couch watching how the wind moves the trees on his farm on a cold winter day on July 25th, 2016. 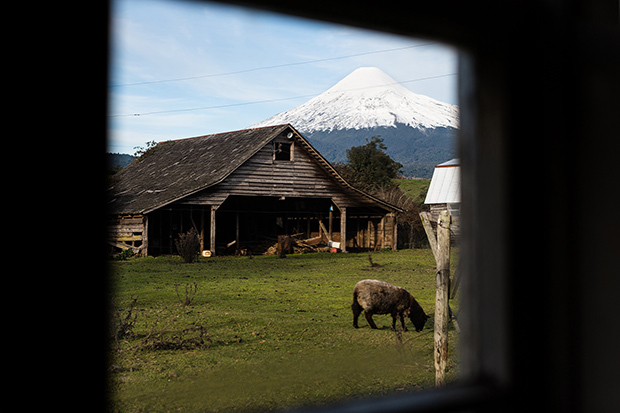 From his farm in southern Chile, Hugo says the Osorno Volcano is majestic, imposing, and the most beautiful in the world. While this view has been with him every day, he often confuses it with other volcanos. 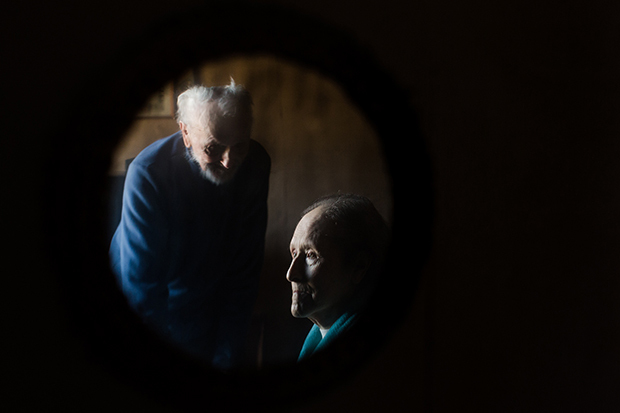 Years ago, two men, Hugo Küschel and Teodoro Hofmann, lived in the village of Las Cascadas, Chile. Here, they tended their farms, raised their families, and became dear friends. 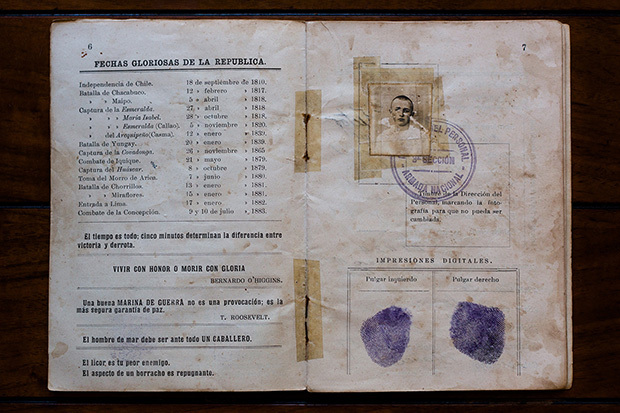 Teodoro passed away in 1978, but more than thirty-five years later, his granddaughter, the photographer Constanza Hevia H., would meet Hugo for the first time. 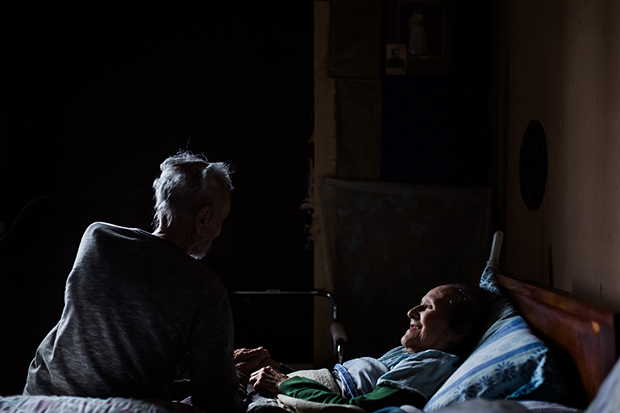 By then, Hugo was the oldest man living in Las Cascadas, and he and his wife Wilma spent their time inside their house, where the photographer became a regular visitor. “One day, I asked Hugo if he was afraid of death,” she says. “He told me, ‘Look, I look at it in this way: tomorrow or the day after tomorrow, one has to leave this earth. '” The Time I Have Left is her record of Hugo’s memories and the final chapter of his life. 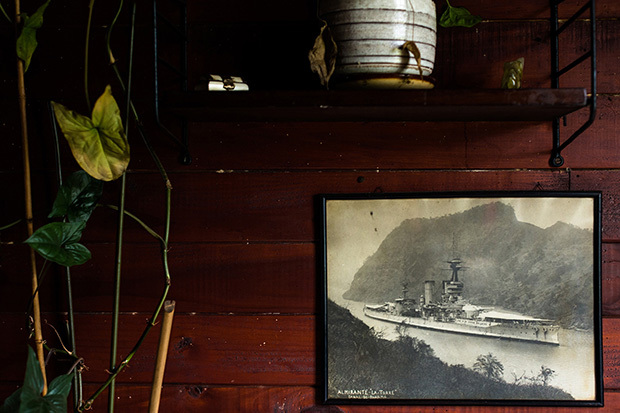 In his time with Hevia H., Hugo shared stories from the Navy, recalled distant scenes on the Chilean battleship Almirante Latorre, and told her about the fishing trips he took with her grandfather. She learned that Hugo and Wilma had met in the 1950s at a farmhouse party before getting married. 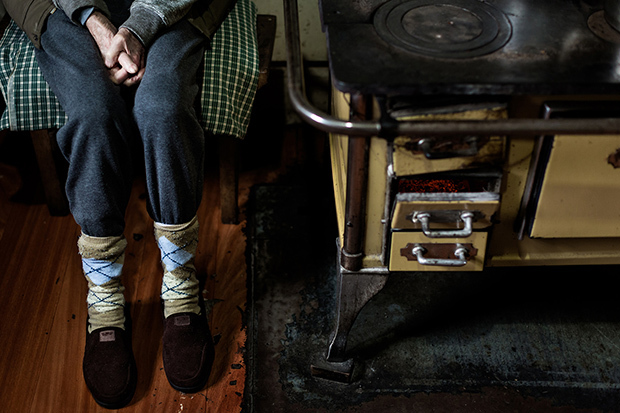 They had three children, and their son took over maintenance of the farm and cared for their animals when they could no longer keep up with the work. 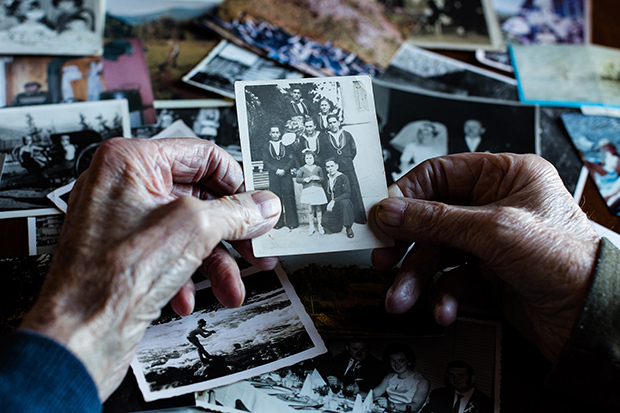 In 2016, when the project began, Hugo was struggling to hold onto his memories, and some were easier to access than others. In conversation, he jumped through time, weaving together stories from different points in his life. 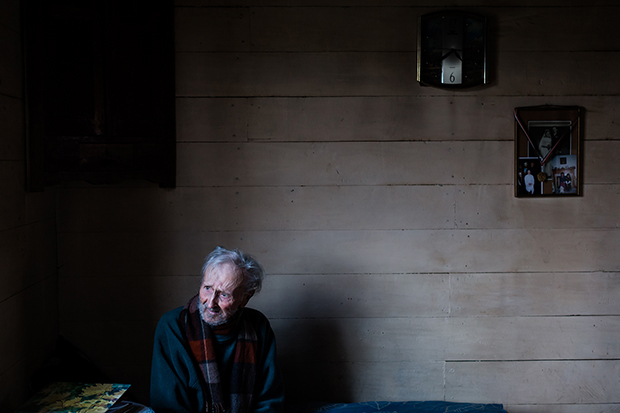 “Hugo’s mind was like a collage,” the photographer says. 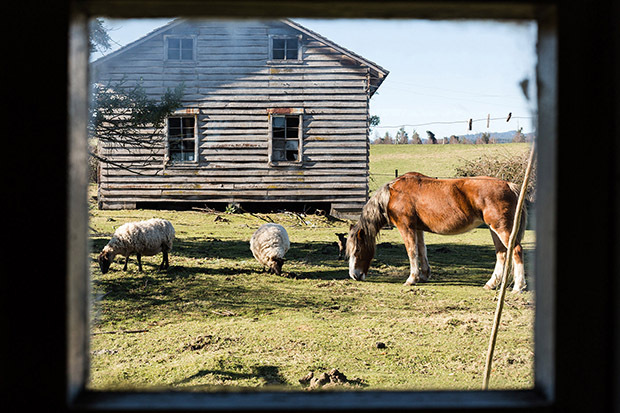 The house he shared with Wilma was filled with history; he had grown up on this very farm, and he kept pictures and antiques to remind himself of days gone by. Hugo died in September of 2017 at ninety-six years old. Wilma is still living, but she spends much of her time resting because of her health. The title The Time I Have Left refers to the final year of Hugo’s life, but in a broader sense, perhaps it applies to all of us. The choice of the word “I” rather than “He” lends it a sense of ambiguity. 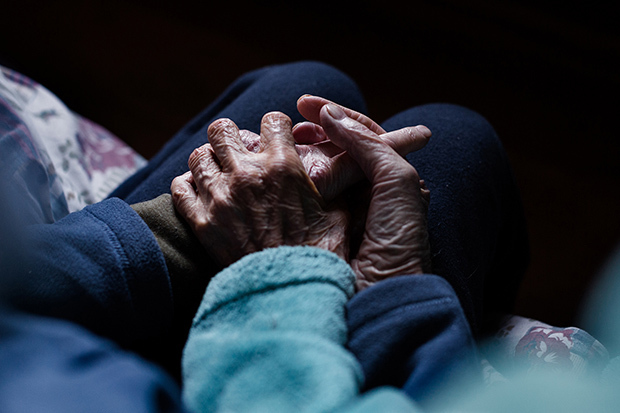 For Hugo, time wasn’t always linear; he knew he might be gone tomorrow, but while he was here, he could still revisit the moments he had gathered over a lifetime, and in Hevia H, he found someone who would listen. 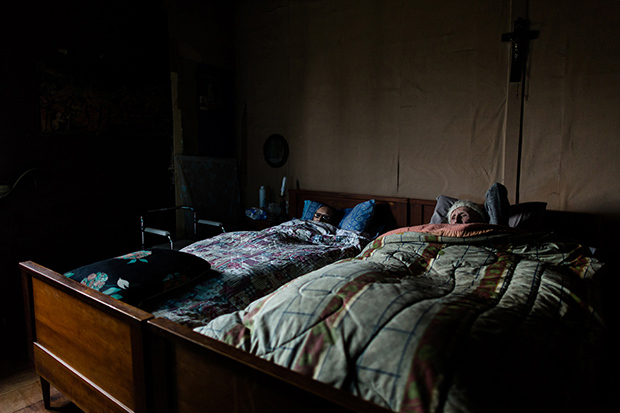 The Time I Have Left was a nominee in the 2018 International Photogrvphy Grant. You can see the project in full over at Hevia H.’s website. The same meal every day: sandwich with cheese. He loves to talk, but is quiet when eating. During a childhood fishing trip with his father, Hugo was inspired watching fish going up steam. At that moment he knew he was destined to be close to the ocean. He joined the Chilean Navy right after high school. For almost 3 years, Hugo proudly served on the Almirante Latorre. He wanted to stay on this ship, but had to leave to take care of his family’s farm. On the cold winter days, Hugo loves to spend time sitting near the wood stove. Hugo and Wilma once slept on sheep’s wool, but now Wilma spends most of her time in a special bed for diabetes. When it’s cold, Hugo will join her as early as 3:30pm. Wilma and Hugo. Loss of memory effects how they talk, but after 60 years of marriage, they are happy to communicate like this. Hugo says the Chilean animals were exported to Germany. I wonder if Hugo’s mind is like his other house: full of debris and scattered memories. Wilma: I am cold like a frog. Wilma, a few minutes later: Are the frogs cold? Hugo: Yes, they are very cold. I ask what he finds meaningful, but he never replies with a direct answer. He goes from one point to another. Although sometimes he doesn’t remember her name, he knows that he loves her. All images © Constanza Hevia H.